Richard Pemberton has been found dead under strange circumstances. His wife Irene needs your help to discover the real murderer! Help Irene to find a murderer of her husband Richard Pemberton. They have just moved to Japan to start a new life in an unknown and exciting world. But suddenly, Richard has been found dead under strange circumstances. The Japanese investigators believe that he has suicided himself, but his wife is sure that it is an evil murder. 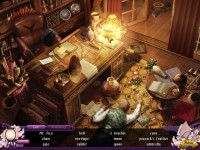 She needs your help to discover the real murderer in Season of Mystery – The Cherry Blossom Murders, an incredible Hidden Object game. 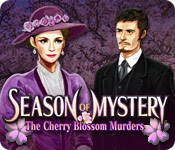 Tell someone about Season of Mystery: The Cherry Blossom Murders Game!